Barely a day goes by without a headline about the opioid crisis and its toll on families and communities across the United States. Heroin and the misuse and abuse of prescription opioids killed more than 42,000 people in 2016, more than any year on record. And all the while, more and more families are turning to the Partnership, desperate for help. There have been a number of critical actions to mobilize a massive response to this epidemic: the Surgeon General’s Report on Alcohol, Drugs and Health; the recommendations from the 2017 President’s Commission on Combating Drug Addiction and the Opioid Crisis; and the federal government declaring it a public health emergency. But thus far, it is lots of talk and little action. Unless there is a substantial infusion of federal funding to implement all that we know needs to be done, we will make no progress. Overdose deaths will continue to rise, and families will continue to bear the brunt of our national inaction. That is what makes the Medicine Abuse Project so important. Through this Project, we have a coalition of leaders in industry, government and the nonprofit sector who are committed to action. Together, we are working to drive down overdose deaths, support families to help their sons and daughters struggling with substance use, ensure that treatment for opioid use disorders is available, affordable and rooted in science and bolster the next generation with refusal skills and prevention messaging. 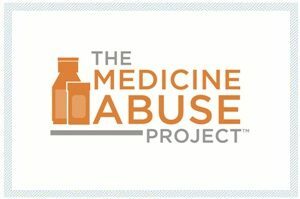 Download the full report to read more on the activities and successes of the Medicine Abuse Project in 2017. Against the backdrop of the country’s opioid epidemic, the Partnership joined with other leading nonprofits in the addiction field — the National Center on Addiction and Substance Abuse, Legal Action Center, the Public Health Management Corporation (PHMC), and the Kennedy Forum — to work on a campaign to implement and enforce the Mental Health Parity and Addiction Equity Act (Parity Act). The Parity Act requires health plans to apply equal coverage for mental health and substance use disorders as they do for other medical and surgical benefits. However, nearly a decade after the Parity Act became law, families continue to be denied coverage, denied medication for treatment and denied continual, individualized care. Speaking Up in Washington, D.C.
We were among a select group of advocates and organizations invited to testify before the President’s Commission on Combating Drug Addiction and the Opioid Crisis in June 2017. Marcia Lee Taylor, our Chief Policy Officer, shared our resources and recommendations, emphasizing the importance of parents and families in efforts to reverse the country’s opioid epidemic. In November, the Commission released its final report on the nation’s opioid epidemic, calling for much-needed increases in access to addiction treatment and recovery programs, expanding the availability of medication-assisted therapies, along with first responders’ ability to administer the life-saving overdose reversal drug, naloxone. The report offered many substantive and concrete solutions to address this public health crisis, and we continue to push key congressional members to support the proposals outlined in the report, ensuring that critical dollars are attached to their successful implementation. 1. End Stigma. Addiction is a chronic disease. Let’s treat it that way. The sense of isolation that families feel when struggling with addiction is unconscionable and we must end the stigma of addiction. 2. Advocate. Whether signing a petition or writing to Congress, let us make our voices heard to ensure this issue remains a priority and that there is the political will to dedicate the necessary resources for families to end this epidemic. 3. Take action at home. Safely secure and dispose of your medications or find support for your loved one to get on the path to recovery. 4. Help save lives. Provide hope and help to others by being prepared to reverse an opioid over- dose using naloxone or educate others on the risks of misuse and abuse. Described as one of the most unique, compassionate and customized programs available to families to address an opioid use disorder, our Parent Coach network grew to more than 200 trained coaches across the U.S. in 2017. Parent Coach trainings are intensive learning programs, where parents and guardians receive free, specialized CRAFT (Community Reinforcement and Family Training) and Motivational Interviewing training. They are conducted by expert, PhD-level clinical staff from the Center for Motivation and Change; an experienced parent coach “mentor;” and professional staff members from the Partnership. Parent Coaches are volunteers who have been personally affected by their son’s or daughter’s substance use. Some have lost children, some have children in recovery and some have children who are actively using. At the trainings, they learn how to provide peer support to other parents who are currently dealing with their child’s use. The Partnership, our partners and our parent volunteers are active in communities across the country, delivering presentations and educating families on evidence-based tools and resources to help them and their children find hope and healing. We joined with the Cincinnati Reds baseball team, their owner, Phillip Castellini, and Interact for Health to co-host a stakeholder roundtable focused on family resources to address the opioid epidemic in southeast Ohio. The roundtable, “Collective Impact; Tackling the Opioid Epidemic,” held in September 2017, was an important first step in bringing together a multi-disciplinary group of stakeholders, reinforcing our commitment to working with families in local communities. Attendees discussed challenges, shared knowledge and capitalized on opportunities to empower communities to respond to this critical health problem. Following the roundtable, Castellini welcomed the stakeholders to enjoy the evening’s baseball game, where the Reds generously made the Partnership their selected charity of the game. The country’s opioid crisis shows little sign of decline, and Tennessee is one of the most impacted states. In 2016, 1,630 Tennesseans died of an overdose related to opioids, according to the Centers for Disease Control’s (CDC) latest data released in late 2017. That’s an increase of more than 10 percent from a year earlier. We initiated a statewide effort in support of Tennessee families by presenting to groups across the state, including prevention and treatment organizations, law enforcement, church and civic associations to raise awareness about our free resources for families. We trained more than 20 Parent Coaches in Memphis, Nashville and Knoxville to provide support to other parents impacted by a child’s substance use. Working with the Treatment Assessment Screening Center (TASC) of Arizona, we launched an online learning tool to help address the opioid epidemic in the state. The launch of this tool, “Heroin + Other Opioids in Arizona: From Understanding to Action,” marked the first time the two nonprofits worked together to address misuse and abuse of opioids to help parents and families in Arizona. It is available in English and Spanish and can be accessed for free online at drugfree.org/opioids-az/.